Monmouth County: Sheriff Shaun Golden is warning residents to remain vigilant in the wake of these current reported tax solicitation scams by people who claim to be with the Internal Revenue Service and are asking for your money. This warning comes after the Monmouth County Sheriff’s Office‪ received a number of calls from residents regarding telephone solicitation for funds, stating that they owed a large sum of money in taxes, and, that the Monmouth County Sheriff’s Office was going to arrest them if they didn’t pay the money. 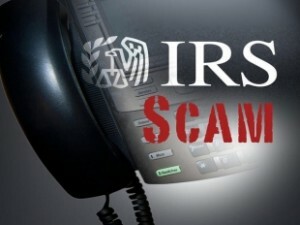 Please see additional information in below link by the IRS in regards to information on tax scams.